Restoring power to homes throughout the territory will take some time, BVI Electricity Corporation Distribution Foreman Carl Wallace said ahead of power being restored to part of Virgin Gorda in late Septermber. 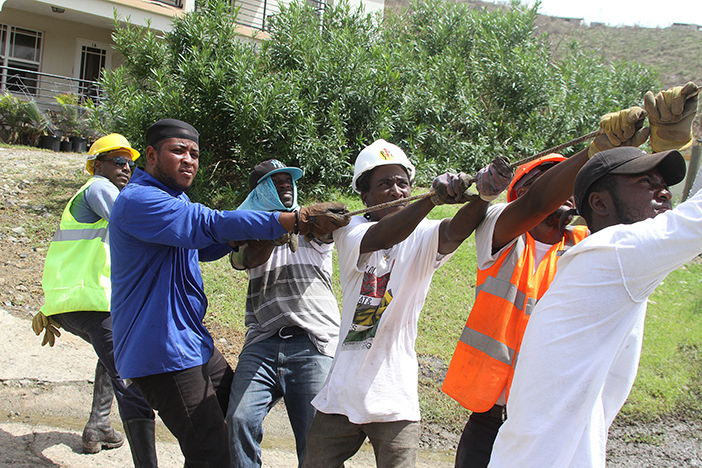 In trying to get a feel of what’s happening on the ground, Wallace as asked about the challenges in trying to complete the work done as people traverse the roads as they’re pulling and joining wires. He said they try their best to get the work done. 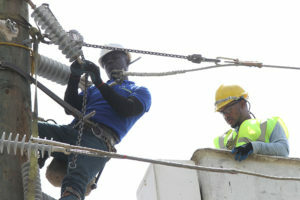 It was the day before power was restored to Virgin Gorda, that Wallace said like Tortola, it will be done in phases. 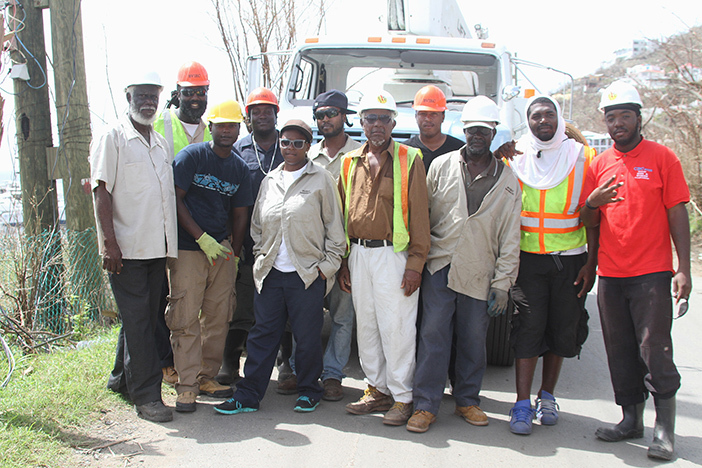 As the lines Wallace and his crew were working on passes through Long Look and East End communities on their way to Virgin Gorda, he was asked about restoration of power to homes that weren’t badly damaged. He said that will take a while because many transformers were damaged during Hurricane Irma and need to be ordered. 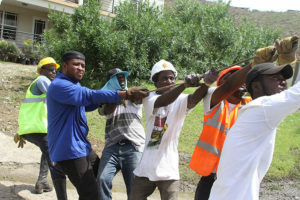 BVIEC Deputy General Manager Henry Creque said the catastrophic destruction from Irma is a major undertaking for BVIEC. With so many storms causing destruction across the Caribbean including Dominica, Anguilla, St. Maarten/St. Martin, the U.S. Virgin Islands, Puerto Rico, the Turks and Caicos Islands, parts of the Bahamas, Houston and Florida, Creque said the biggest challenge is that everyone facing devastation, needs the same materials to build back their systems. Creque noted that there has been an upsurge in persons and businesses purchasing generators since Irma.